Sunday, June 10, 2018, 1:30 – 4 p.m. In celebration of the 2018 Special Olympics USA Games, which will take place in Seattle from July 1st through July 6th, please join us for a free screening and panel discussion of the film Swim Team. Parents of a boy on the autism spectrum form a competitive swim team, recruiting other teens on the spectrum and training them with high expectations and zero pity. 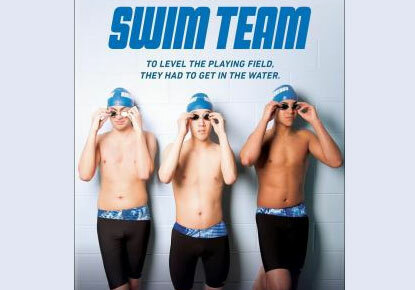 Swim Team chronicles the extraordinary rise of three diverse young athletes, capturing a moving quest for inclusion, independence and a life that feels like winning. Please stay after the screening for a panel discussion. This event is a collaboration with POV, PBS' award-winning nonfiction film series.